With a legislative deal to expand Detroits Cobo Center dead, its time for the Detriot auto show to look at other venues, the shows co-chairman said today. Fox said that southeast Michigan remains the committees locale of choice, but said absent renovation and expansion at Cobo, the show may move on. Fox said he doesnt foresee a viable plan to improve Cobo without regional collaboration. The Michigan Court of Appeals ruled earlier today in favor of the Detroit City Council in a lawsuit concerning the future of Cobo Center. Detroit Mayor Ken Cockrel Jr.s press secretary has said the administration doesnt plan to appeal to the Michigan Supreme Court. State legislation crafted late last year provided for a roughly $288 million expansion and renovation of Cobo by extending a regional tax and creating a tri-county authority to govern the center. But the city council disapproved the deal on Feb. 24. Cockrel vetoed the councils decision. The council challenged Cockrels veto in court, saying the legislation didnt give the mayor the right to veto the councils vote. A Wayne County Circuit Court judge ruled in the councils favor after more than a week of negotiations attempting to strike a compromise between the council, which wanted a more significant role for Detroit in the management of Cobo, and the mayor, whose position has been that the existing Cobo deal is the only viable plan for an expansion. In a statement issued after the appeals court ruling, Cockrel said he would work with the council, Gov. Jennifer Granholm and the state Legislature to craft a new plan for a Cobo expansion. 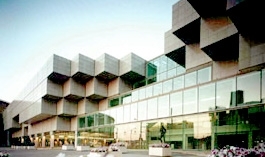 The mayors office noted that Cobos operating budget had been included in Cockrels proposed budget for fiscal year 2009, and that the city continues to operate and manage the convention center.